Kathleen Mae Masuba was ordained as a reverend under Cross Country World Missions in 2007 under the leadership of Rev. 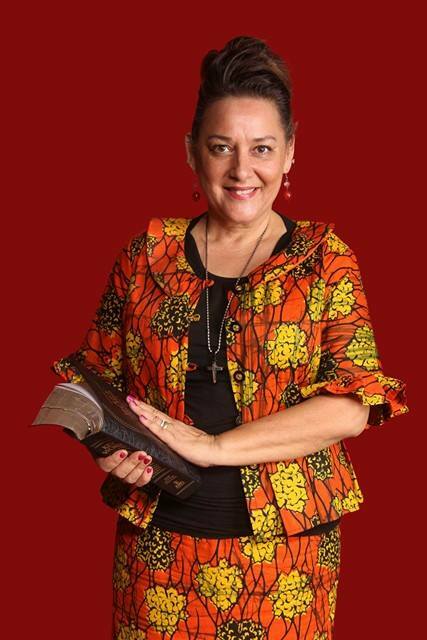 Judith Ann Baines and she was ordained as an Apostle under Bishop Jessy Blalock under the same ministry in 2017 for the apostolic work she has been doing in Uganda since 2011. In 2018 Kathleen was recognized and ordained under the Harvest Family Network which is under Iris Ministries by Pastor Brian Britton and Heidi Baker. Kathleen is the visionary, founder and CEO of Fresh Revival Fire Ministries USA, Fresh Revival Fire Care Uganda, The House of Grace Children’s Home Uganda, The Warrior Widows Project Uganda, The Pastors Education Scholarship Project Uganda, the Flame of Fire Bible Schools in Uganda, and the churches under her ministry. 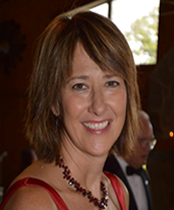 Kathleen is also the country Director for Greater Living Ministries USA. She is a revivalist with an apostolic and prophetic call on her life with the desire to bring the gospel to the nations. Kathleen has served as a worship leader, treasurer, public relations director, and the vice president of a local Aglow International Affiliate in Virginia for many years. She is a gifted singer, song writer, and musician. She has a nursing degree and a bible degree from a Virginia College. She has been serving the Lord and ministry since the year 2000 and has traveled to 19 countries preaching and sharing the gospel. 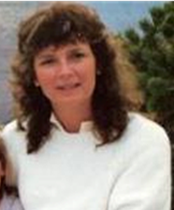 Kathleen also founded and owned Affordable Landscaping and Lawn Care Business in Virginia USA and ran that business for 22 years. Originally from Virginia Beach and Williamsburg Virginia, She now resides with her husband Micah Masuba in Mbale Uganda. Micah is the Director of FRFCU, The House of Grace and Flame of Fire Bible Schools and is the Vice President for both the US and Uganda boards. He has a true pastor’s heart and calling to mentor and guide the Ugandan people to the Gospel. He is a businessman among his people in Uganda and a leader with integrity. Micah is the Secretary of Support Transformation Effort Program (STEP) Uganda (NGO).Micah is also one of the founders and the Secretary of World Prayers Warriors’ Mission-Africa (NGO). 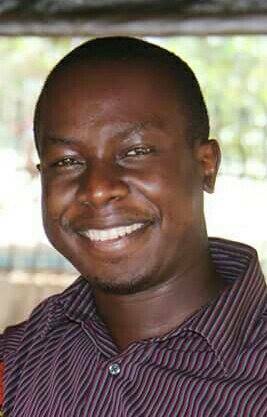 He has a diploma in Information Technology and a Bachelors in Public Administration and Management at Ugandan Christian University. He has experience managing various ministry projects and has worked as a sales associate and driver for a pharmaceutical company in Uganda for 4 years. Micah grew up in Kampala, Uganda and now resides in Mbale his wife and ministry partner, Apostle Kathleen. Sister Doris is a prophetic intercessor with a mother’s heart. She walks in the office of the teacher and moves in a prophetic psalmist anointing. 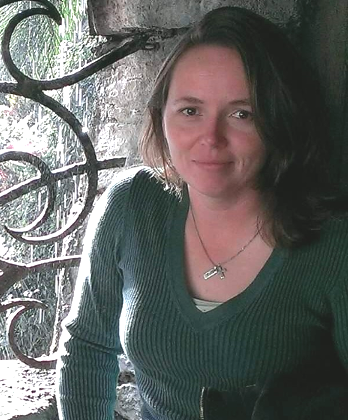 She is also the Office Manager of FRF Ministries in the USA. She served as the President of a local affiliate of Aglow International and has been a board member of Habitat for Humanity in eastern Virginia. 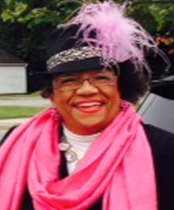 She has a Master’s Degree in Literacy and worked in public education for over 30 years as a reading specialist and teacher. She lives in Saluda, Virginia USA. Amber has been a Christian for over 10 yrs and her heart is to serve God in whatever way He shows her. She’s been married to Shane Hall since 2008 and moved to the Nashville, TN area in 2011. She was a truck driver for 15 yrs, and became a Realtor in 2017. She loves her job and the time it affords her to serve the Lord. He is a businessman from Mason, Ohio and moves in an administrative financial management anointing. He is a man of integrity and is married with 3 beautiful children. He works at P&G in Ohio USA. Margie is a prophetic intercessor for the nations. She has a deliverance ministry that transforms the lives of the broken. She is a teacher and a youth leader at Word of Life Church in Mason, Ohio. She lives in Mason with her husband, Kevin, and their 3 children. She is a prophetic evangelist with a mother’s heart for the nations. She was a missionary to Africa for 10 years where she also served as an intercessor for Reinherd Bonnke Ministries. She is the Associate Pastor for the youth and children’s church at Living Waters Church in Chesapeake, Virginia. She is also a bible study teacher and serves as the mission director at Living Waters Church. She is a proud mother of 4 children and grandmother of 10. 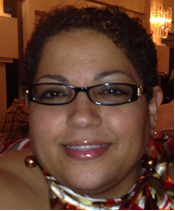 She serves as a co-pastor along side her husband Pastor Jeremias and is a mentor as well. She is an interpreter and outreach worker to the Hispanic community. Together with her husband, they are a House of Hope to the world. She has a Bachelor’s in Social Science and has 2 years of biblical training with the Bible Institute in Virginia. He is a pastor, teacher and mentor from Chesapeake, Virginia in broadcasting and media. 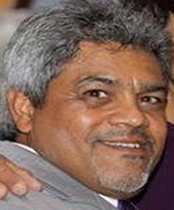 Pastor Jeremias served in the US Navy 21 years and is now retired. He has an Associate Degree in Bible. 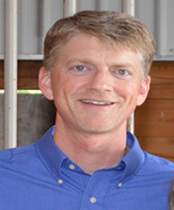 He is also a Project Manager for Omnitech Corporation and has a Bachelor’s degree in Accounting. He has pastored his own church for 3 years and has been a mentor for up and coming leaders for 15 years. 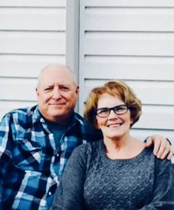 They have been married for 51 years and filled with The Holy Spirit for almost 40 years. They have been in every facet of ministry since 1979 in Michigan and in Virginia since 1981. They licensed pastors under Voice of Victory since 2007. 4 children 11 grandchildren and 3 great grandchildren. Marriage Counseling, deliverance, music and tape ministry. Elders, trustee, children’s Pastors, adult bible teachers. Apostle Kathleen and Micah Masuba are the President and Vice President respectively. Fred is the President, CEO and Founder, of a Non Profit ministry in Uganda Called “Support Transformation Effort Program”. 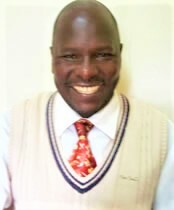 Fred is the president and one of the founders of World Prayer Warriors’ Mission – Africa. He holds of Bachelor of Microfinance and an ongoing master student at Atlantic International University (MSc PPM), with an experience of over 7yrs in Research, community, and administration work. He works as a consultant for numerous NGOs in Uganda and mobilizes and facilitates participation of communities, Community Based Organizations and local institutions. He also identifies and nurtures, builds the capacity of local partners and facilitates their participation in implementation of planned interventions and activities. Majeme Christoper is born again Christian from Bududa district. He has a diploma in education from Kyambogo University and has been teaching for over 7 years. Christopher has been doing project writing and managing agriculture projects since 2010. He is a Ugandan. He is married with 4 biological children and 2 adopted children whose father and mother died of HIV/AIDS. 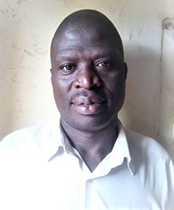 He is an ordained minister of the Pentecostal Assemblies of God denomination in Uganda; and serves as a pastor in one of the PAG churches in Kumi District. he has served in ministry for a period of more than 15 years; and has found joy in doing God’s work through different ministries to his people both in and outside Uganda. Between 2012-2014, he went to South Korea to pursue a Masters Degree in Theology and currently, works as a Principal of Pentecostal Theological College in Mbale. At the college, he provides leadership and teaches theological studies.